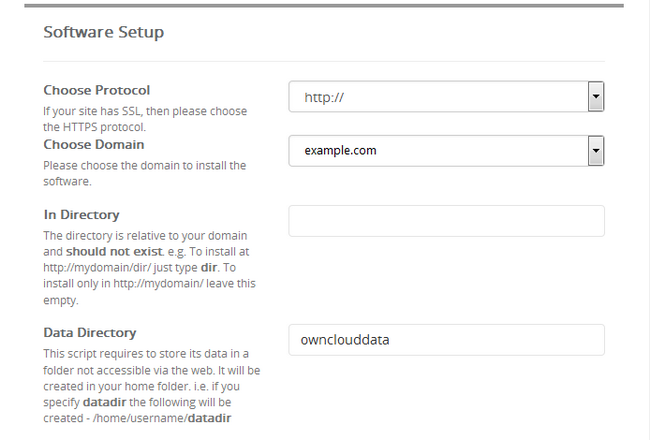 Installing ownCloud is easy and fast using the Softaculous auto-installer incorporated in your cPanel. Firstly, you will have to access your cPanel and find the Softaculous application. Here you can look for the ownCloud application via the search functions of Softaculous. Once inside the application page you will see detailed information about the platform as well as screenshots and a live demo ready to be tested. Click on the Install button to proceed with the installation. The Software Setup section includes a few configuration fields that correspond to your domain and location of the install. Choose Protocol – If you have already enabled SSL for the domain you choose in the next field, select HTTPS from the drop-down menu of this field. The admin account setup is easy and only requires from you to choose a username and a password. We recommend that you use the password-generator in order to create a strong and hard to guess password. Finally, you will have to select the language for the application and click on the Install button at the bottom of the page. 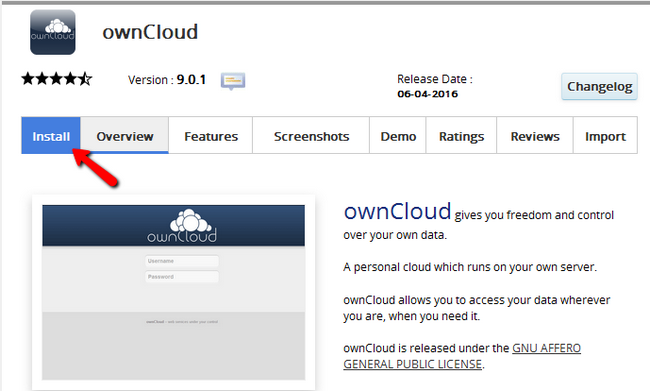 Congratulations, you have successfully installed ownCloud on your hosting account.